Thanks to its ideal location, a number of people are looking at homes in Rosemount MN. Combining the best of small towns and metropolitan cities, Rosemount appeals to a variety of people, from young families to empty nesters. Within this excellent setting is the Prestwick Place community with spacious, beautiful homes built by Key Land Homes. 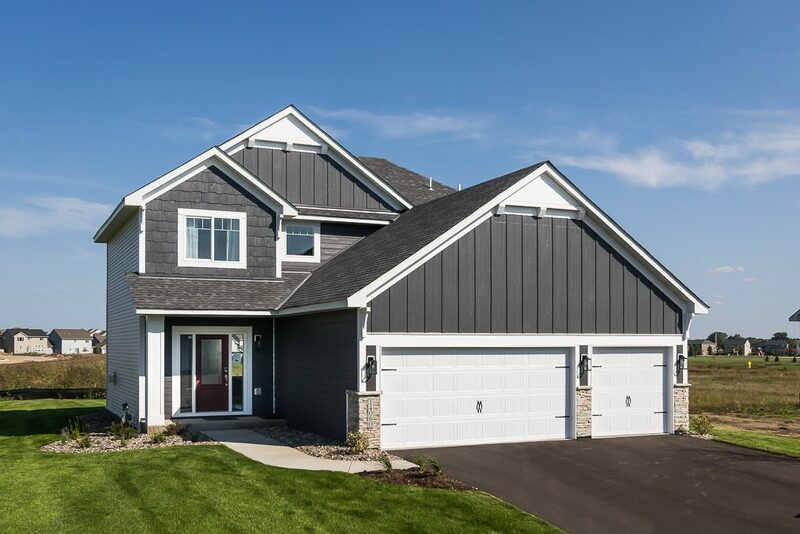 Prestwick Place is centrally located within Rosemount, and Rosemount itself is conveniently located to the Twin Cities, sitting just 15 miles south of Minneapolis and St. Paul. This makes Prestwick Place a great home base for commuting to the cities for work or entertainment. Yet Rosemount itself is full of a variety of employment options, with industry, agriculture, and agricultural research all taking part in the growth of the city. With the agricultural aspect, it perhaps comes as no surprise that the area is also rich with natural beauty and dedicated green spaces. Community leadership has preserved 302 acres of land for 23 parks in Rosemount, which is also bordered by the majestic Mississippi River. In addition, Rosemount also contains 270 acres of the Spring Lake Regional Park Preserve. This means that people of all ages in Prestwick Place have easy access to a range of outdoor activities. Even the canine family members are sure to love the nearby Dakota Woods Dog Park located just east of Rosemount. This 16-acre, fenced, wooded park is the perfect place for dogs to play and enjoy the outdoors off leash. Of course, quality schools are always important, and Rosemount meets those needs and more with public and private schools that have been recognized for the top-notch education they provide. Children and adults benefit from the numerous education opportunities available. With Rosemount proving to be such an excellent location for both work and play, it’s important to find a community like Prestwick Place that provides easy access to all of this, while also providing homes that are spacious and thoughtfully planned. These three- and four-bedroom homes feature the kind of designs and layouts that people want in today’s new homes. From the welcoming entry foyer to the walk-in pantry, the Key Land homes at Prestwick place combine the best of form and function. Anyone looking at homes in Rosemount MN is already choosing an ideal setting. Purchasing a home in Prestwick Place community puts you in the heart of a warm, tight-knit community you’ll want to call home.